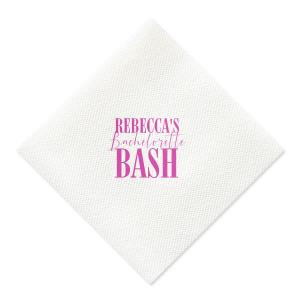 Does the bride love to party? 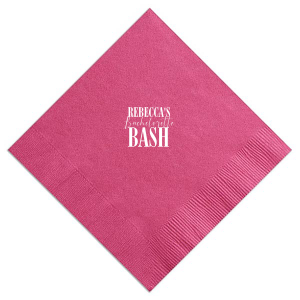 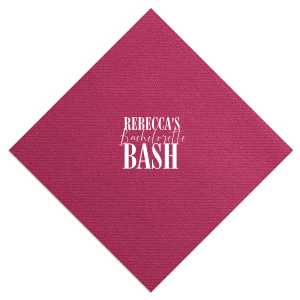 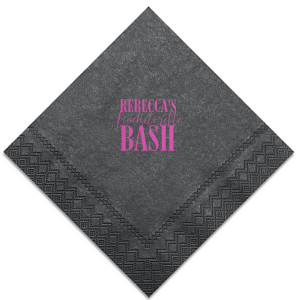 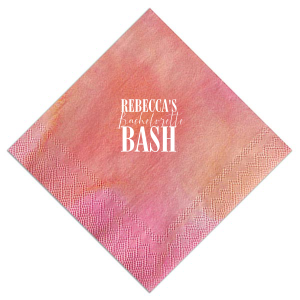 Celebrate her bachelorette with this custom Fuchsia napkin that will be a fabulous addition to the day! Personalize it with the bride's name for a bar and finger food detail she'll love.